Purchasing window coverings at Sheila’s Window Toppers is made simple – Hunter Douglas Window Fashions Experts. With many years of experience in the window covering industry we are able to help you choose the perfect window coverings by explaining the pros and cons of various types of blinds, shades and draperies. We are Certified Hunter Douglas Installers and are continually upgrading our education on Window coverings to better serve you. If you prefer to purchase window coverings from Professionals and want to make your shopping experience a positive one we can help. The use of coordinating fabrics on your furniture and drapery treatments will transform your home and give it that “Show Home” feel. Your Home is your Castle! 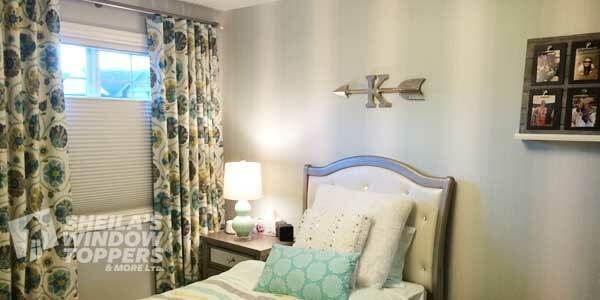 Custom draperies are an expensive investment and speaks to the sense of luxury. From design to installation, we strive to extend our reputation and exceed your expectations. Our designs will be stunning, our fabrics are gorgeous and the end results will take your breath away. Re-upholstery is ideal for well-made furniture that needs a refreshing updated look, rather than replacement. 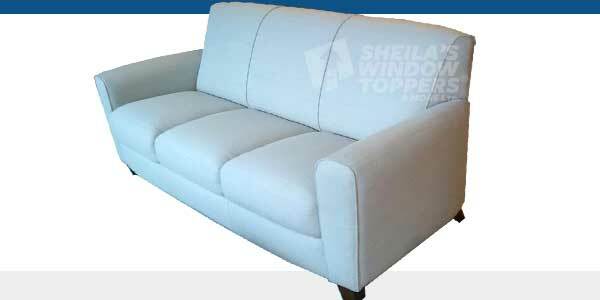 Select the finest fabrics from the most fashion-forward home furnishing designers at Sheila’s Window Toppers. Ask us about motorization. 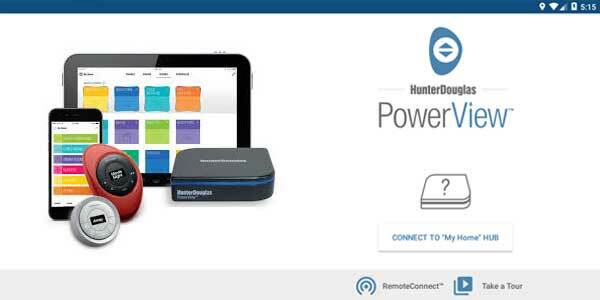 Hunter Douglas PowerView motorization systems are very affordable and a great option to Power Blinds. Drop by our Calgary Window Covering store to see our display of hard wired motorized blinds. We are one of Calgary’s few Certified Motorized Specialist Stores. 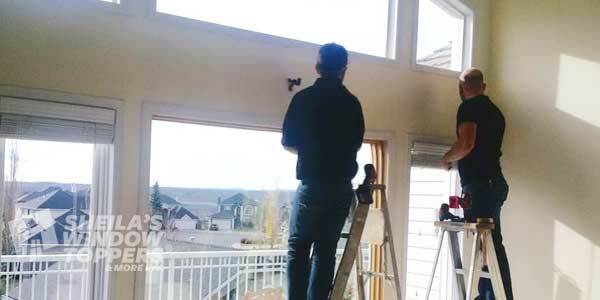 Sheila’s Window Toppers at Crowfoot offers full installation service with professional window covering installers. Your window decorating will be done by specialists that are trained and proficient in measuring and installing custom window treatments for a perfect fit. Our installers are Hunter Douglas Certified Professional Installers as well as Shade-O-Matic Certified Shutter Installers. If you are using our installation services will measure your windows, so you can avoid the hassle of measuring for window treatments and get an accurate fit. As highly trained professionals we will also help you make the right choices with product and color selection. We have been here for over 25 years serving our customers.